Dinosaurs is a theme in our early childhood special education curriculum and a colleague recently asked me for some speech and language therapy ideas. The dinosaur theme is one that students always enjoy and there are so many great resources for speech-language therapy on the Internet. Pteranodon, Alamosaurus, Yangchuanosaurus, Dimetrodon, Brachiosaurus, Zhejiangopterus, Ankylosaurus, and Zigongosaurus! Definitely a good way to practice multisyllabic words and /r/ and /s/ sounds. Check out the Field Guide at Dinosaur Train on the PBS KIDS.org website. Learn how to pronounce all of those dinosaur names and know your dinosaur facts before beginning therapy sessions. And, while you are at the site, look at the games and videos. Play with your dinosaurs to teach verbs – eat, drink, sleep, jump, run, hop, walk, go, sit, stop. Take pictures of your dinosaurs eating, jumping, sitting, etc. Use the photos as visual supports or create a book. A nice example is Dinosaur’s Busy Day by Gaige at Tar Heel Reader. It would be fun to make a book with your students and “their” dinosaurs. While you are at Tar Heel Reader, look at the many dinosaur books. Use them as is or download and modify to meet your student’s needs. Dinosaurs Lived Long Ago is perfect for early childhood groups. Don’t have dinosaurs? Print and laminate the story props for Dinosaur Roar by Paul Stickland at Kizclub.com. If you have access to this book, use it to teach describing words - meek, fierce, fast, slow, weak, strong, short, and long. Also at Kizclub, a dinosaur book to use in therapy or send home - expand sentences, work on vocabulary, ask and answer who questions. 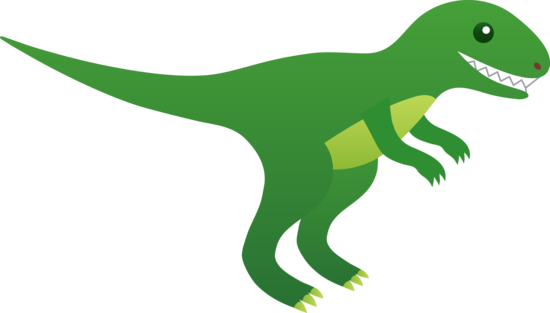 At Mother Natured.com, find Printable Dinosaur Masks for Prehistoric Play. The FREE Colorforms app has a dinosaur themed playset. Would a dinosaur be a good pet? Visit 123Child.com to see this activity. Follow up by reading the story Dino Store, a free interactive story app. This could turn into a good writing activity. Speech Days in the Pre-K made a FREE Dinosaur Language Pack containing 19 pages that target categorizing, vocabulary, regular past tense verbs, and pragmatics. Dinosaur Cut and Paste Activities – These would make cute therapy props for teaching the concepts open/close and tall/short. Magic Tree House Book #1 (Dinosaurs Past Dark) Comprehension Packet. Nine pages with 3-4 comprehension questions for each chapter, a review, and a response page for the book. Dino Sort! - a Game of Sorting and Classifying. Teach classifying by attribute while playing this very clever math game. A dinosaur sensory bin would be one way to teach descriptive vocabulary such as rough, smooth, bumpy, hard, and soft. Check out the sensory bins at FantasticFun and Learning.com and Happy Hooligans.ca. Discover fun /s/ blend actions with dinosaurs while playing along with Keri at My SpeechParty.com. This is one of my favorite dinosaur finds. You and your students can play along with Keri during this 12 minute video while practicing s-blends, working on verbs, final consonant deletion, following directions, wh questions, and much more. It’s so much easier to get data when someone else is teaching. SaturdayNight at the Dinosaur Stomp from Miss Nicole Speech. The Dinosaur Stomp! at Rock Chalk Speech Talk. Dino-rific: Dinosaurs in Speech Therapy from Speech Room News. Make playdough fossils at Carrie's Speech Corner. HowTo Play With Dinosaurs In Your Speech Therapy Session from The Pedi Speechie. Eat Like the Dinosaurs!, found at Early Intervention Speech Therapy, is a wonderful way to work on classification skills. Read digital books at We Give Books.org. There you will find dinosaur books appropriate for the very young to age 10. Three of several include Skippyjon Jones and the Big Bones, DK's Let's Look: Dinosaurs and Meet the Dinosaurs. If you are going to talk about volcanoes, look at V is for Volcano from Preschool Alphabet. The Classic Erupting Volcano would elicit much language, but using the Mini Volcanoes (with eye droppers) would be very conducive to group work.